← Is Frexit Next? Why Do So Many Europeans Dislike the EU? A little noticed 2008 email from former Federal Reserve Chairman, Ben Bernanke, raises serious questions about his official narrative on the collapse of Lehman Brothers. We’ll get to the email in detail, but first some necessary background. 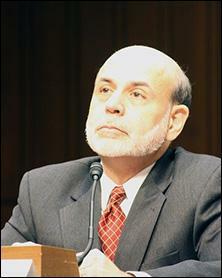 Throughout his memoir, including Chapter 12 titled “Lehman: The Dam Breaks,” Bernanke goes to great pains to paint a portrait of the Fed and himself as being intensely on top of the situation at Lehman Brothers from March 2008 forward, following the Bear Stearns collapse and its absorption by JPMorgan Chase. At this point, the Fed was focusing on Lehman’s tri-party borrowings. What it should have also been focusing on was Lehman’s interconnectedness through its derivatives book to every major bank and investment bank on Wall Street, whose market capitalizations imploded after Lehman collapsed. First is the question of why Bernanke was writing to Kevin Warsh instead of the President of the New York Fed, Tim Geithner, the Fed’s point man on Lehman. Warsh was in his 30s and a former investment banker at Morgan Stanley before becoming a White House aide under the administration of George W. Bush. He had been appointed as a Fed Governor in 2006 by President Bush. Bernanke’s email was sent at 4:16 p.m. on Sunday, September 14, 2008. Lehman would file for bankruptcy approximately eight hours later, just after midnight on Monday, September 15. In Bernanke’s book, he concedes that the potential buyers of Lehman had concluded that it was wildly inflating the value of its assets and capital by tens of billions of dollars. That’s why no firm would step up to the plate to buy it. How had the Fed’s own examiners missed this? How could Bernanke have read Parkinson’s email about Lehman’s tri-party borrowing or looked at its derivative obligations and even contemplated that $12 billion in a capital injection was a realistic assessment of what it would take to keep Lehman alive. All of this points to growing calls for the Federal Reserve to be completely severed from Wall Street bank supervision and get back to its core mission of monetary policy. 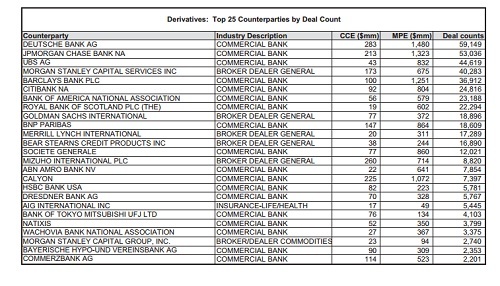 It also points to the Fed’s current blinders when it comes to the dangerous interconnectedness that still exists today among Wall Street banks serving as each other’s counterparties to trillions of dollars in derivative contracts.